Located in the exclusive community of Clyde Hill, this fresh new Dutch Colonial design by BDR Fine Homes boasts 6,258 Sq. Ft., 5 bedroom suites plus a den, and a trademarked GenSuite (guest suite) with separate entrance, kitchen, living area, and bath. 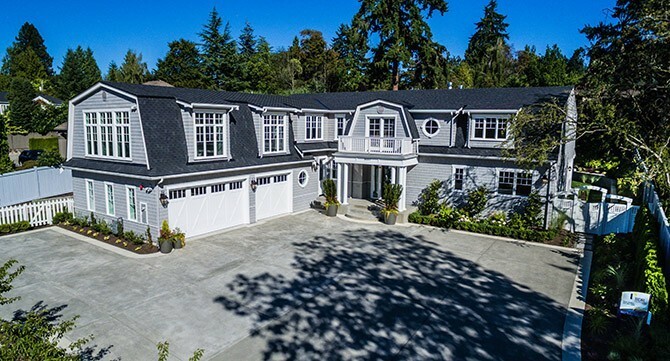 This luxury home is located just steps from Tully’s Coffee and offers the best of both worlds, combining quiet seclusion while being located within 10 minutes from Downtown Bellevue & Seattle.